Mauldin & Jenkins is a Top 100 Certified Public Accounting firm with expertise in serving a wide range of clients. Our mission is to help our clients achieve their business and financial objectives and to provide successful careers for our people. Mauldin & Jenkins has provided audit, accounting and tax services since 1918. Our culture, from the beginning, has been to provide top quality service to every client.  Since the firm’s inception in Albany, GA we have added offices in Atlanta, GA, Macon, GA, Birmingham, AL, Bradenton, FL, Chattanooga, TN, Columbia, SC and Savannah, GA. We have grown into one of the top 100 accounting firms in the nation. Mauldin & Jenkins has provided audit, accounting and tax services since 1918. Our culture, from the beginning, has been to provide top quality service to every client. Since the firm’s inception in Albany, GA we have added offices in Atlanta, GA, Macon, GA, Birmingham, AL, Bradenton, FL, Chattanooga, TN and Columbia, SC. We have grown into one of the top 100 accounting firms in the nation.